Happy Fri-YAY! Yesterday, I thought it was Friday most of the day and then when I realized that it wasn’t – it was a huge letdown. Has that ever happened to you? Please don’t tell me that I’m the only one who loses track of time. =) Oh well, today is actually Friday so there’s that. Today, I want to share something that worked for me. 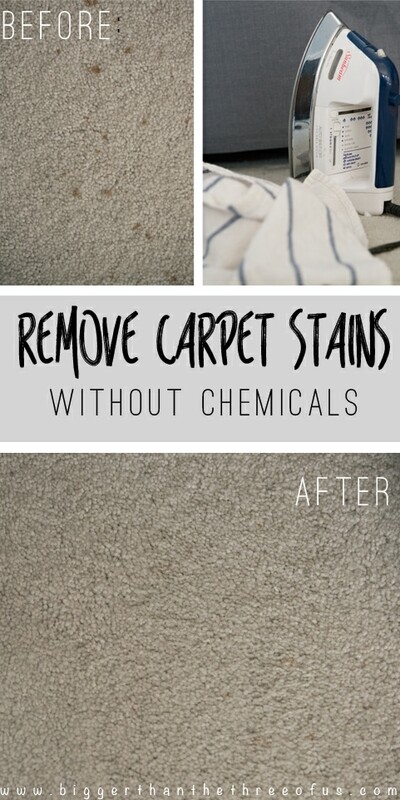 I’m a bit nervous to post this because I know there will be some negative feedback on the cleaning method that I used but I’d use the same method again so I might as well share! 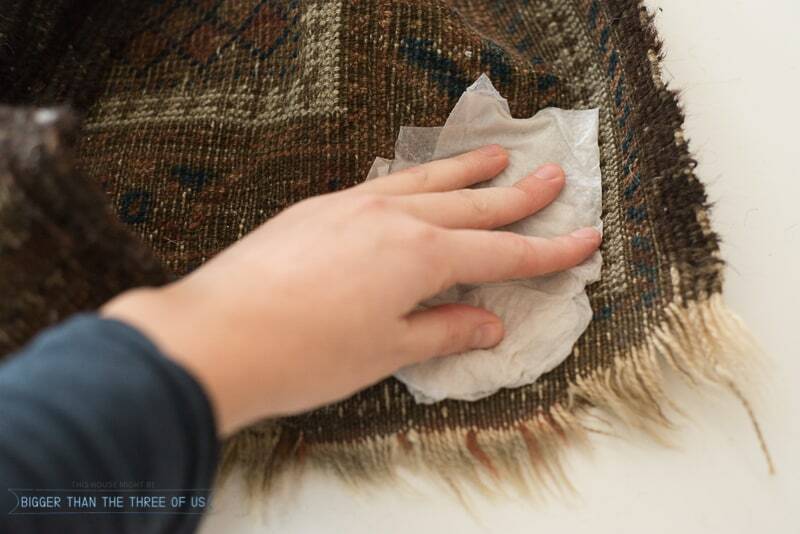 Let’s chat about How to Clean a Vintage Rug. Here’s the backstory on the rug. 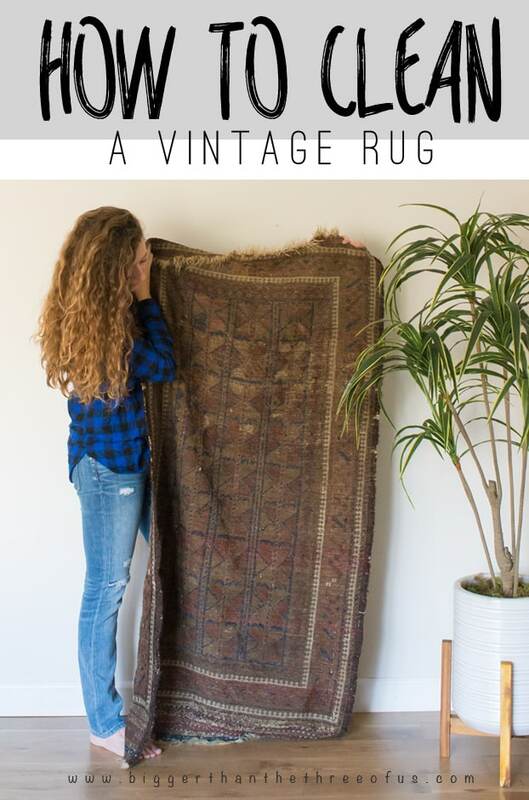 I got it from one of my favorite sellers (check out my post on Where to Buy Affordable Vintage Rugs if you haven’t see it). In the description, it said something about the rug having moth damage and being dirty. When it arrived, it smelled like mothballs, for sure. 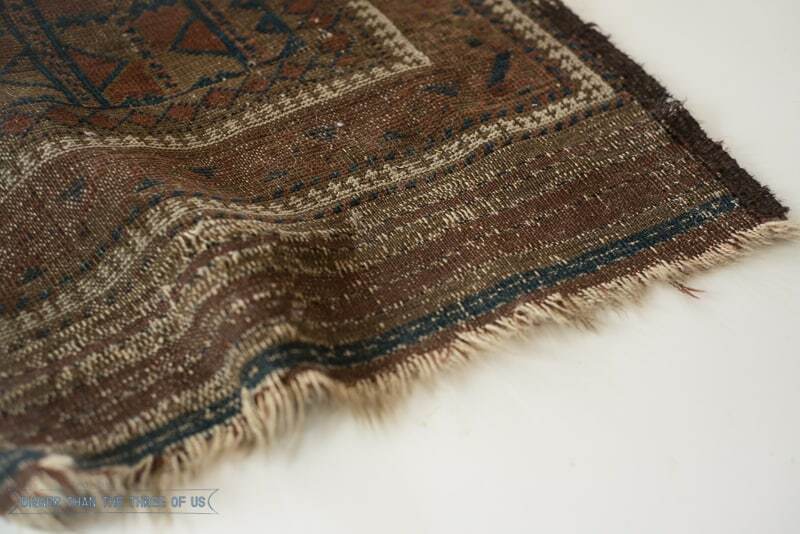 I thought about taking it to a rug cleaning company but I hated to spend the money on that when I was kinda curious to see if I could clean it myself. I thought about it for a few days and then just decided to go for it. The first thing that I did was grab a paper towel and got it pretty wet. 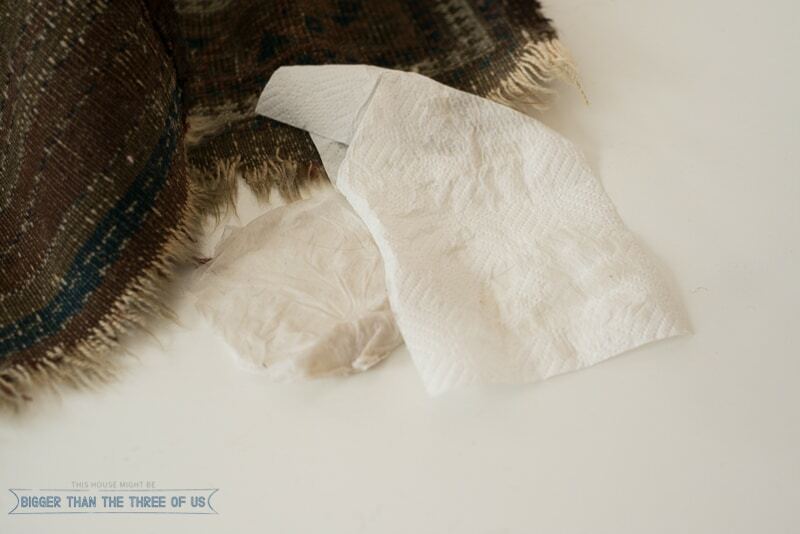 Then, I pressed the paper towel firmly into the rug for about 20 seconds. I released the pressure and checked the paper towel to see if the rug colors bled. There was no color on the paper towel, so I felt like I could proceed with my cleaning method. 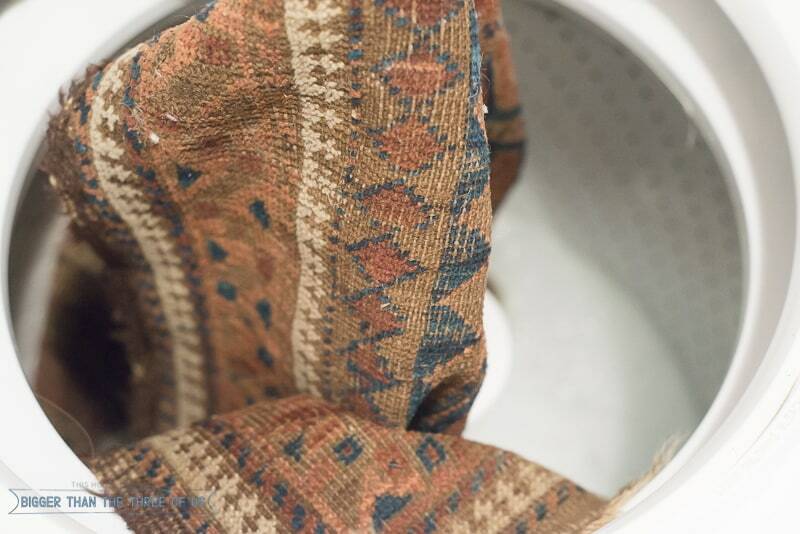 I wash my bath rugs in the washing machine, so why not wash my vintage rugs?! That was my thought anyways. 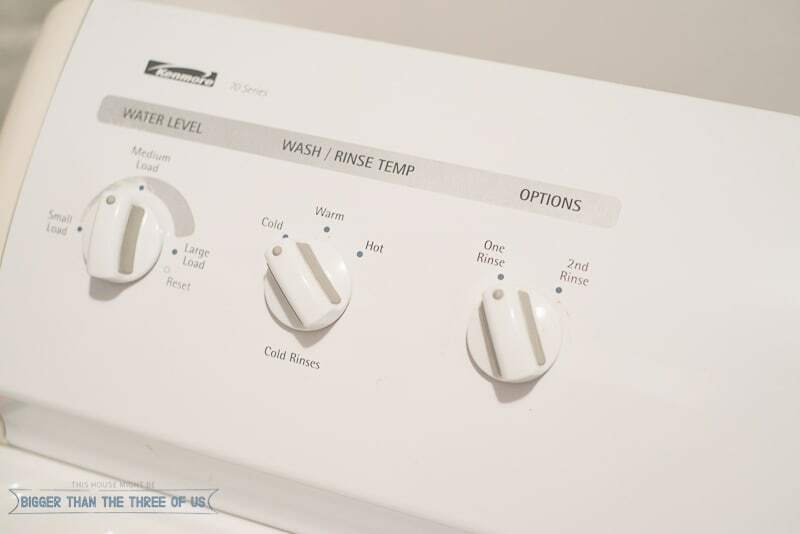 I turned the washing machine to cold and made sure to have it on the handwash option. 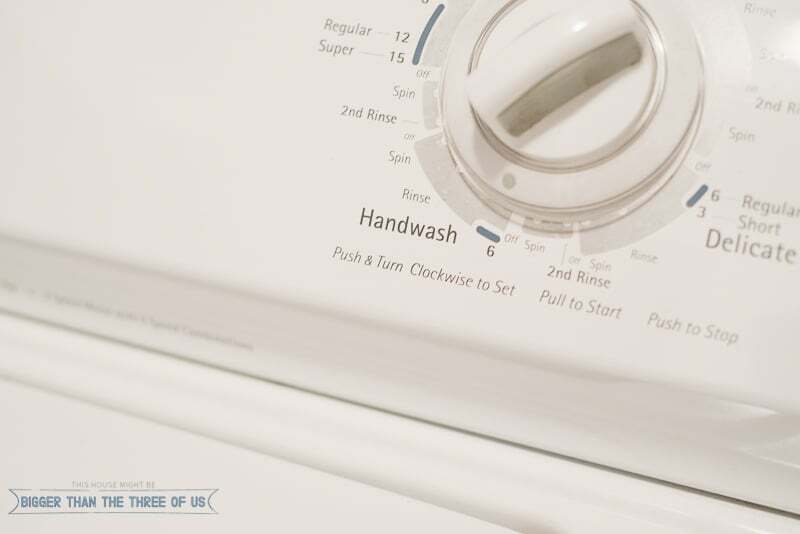 I make my own laundry soap (see my homemade laundry soap post for the know-how) so I added that first. Then, I dropped the rug in. 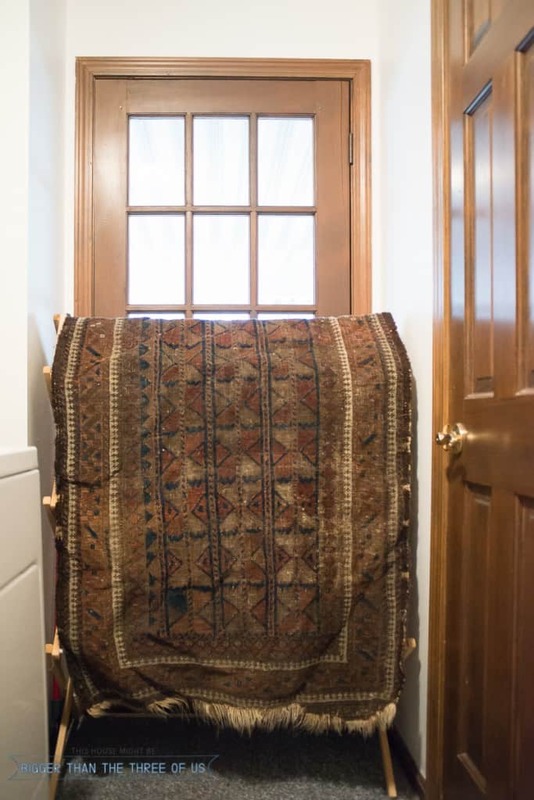 Once it went through the cycle, I hung the rug over my drying rack for a day. It came out perfectly! I definitely wouldn’t use this method for large rugs but I’d do it again for the smaller one’s for sure. 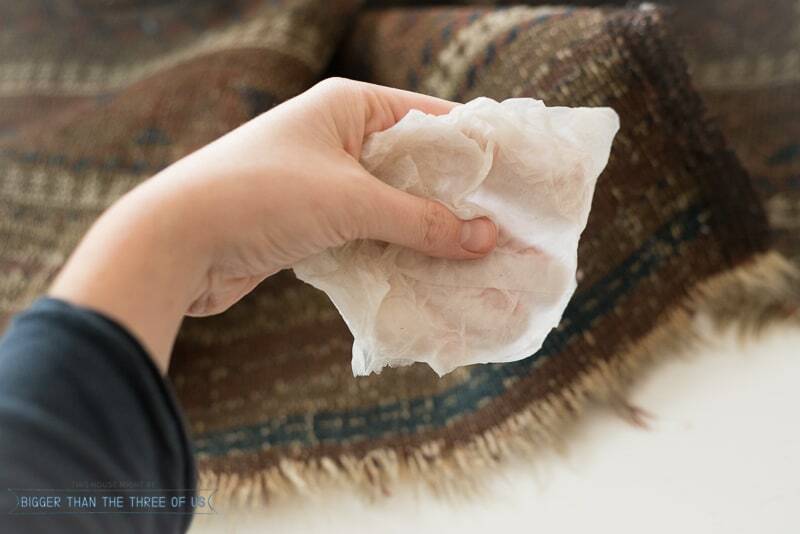 I recently read Pro Tips for Cleaning Your Vintage Rug which includes a few other methods if you don’t want to try the washing machine method! 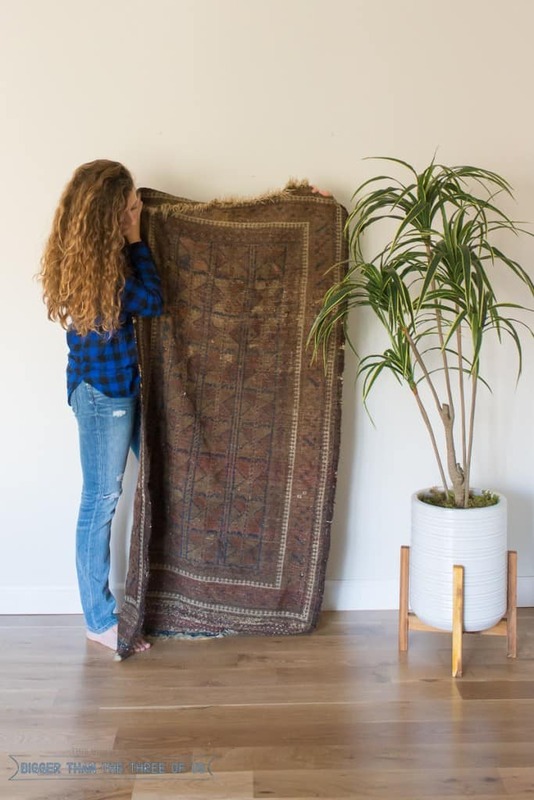 One more thing, as I was looking for a similar version of my rug… I came across a few awesome rugs at great prices (most are discounted pretty heavily as of last night)!